In this site's Katherine Parr gallery there is a badge of Katherine. She is crowned and rising from a Tudor rose. Her hair is loose. Does that mean she was a virgin when she married Henry VIII (even though she'd been married twice before) or would all queens of the period wear a crown over loose hair regardless of whether they were virgins or not? It might seem a bit odd that a fervent Protestant would have adopted a very traditional Catholic image for her badge, but it was a transitional period; people could still celebrate their personal saint's day while strongly disapproving of the cult of the saints as a "corruption" of pure religion. 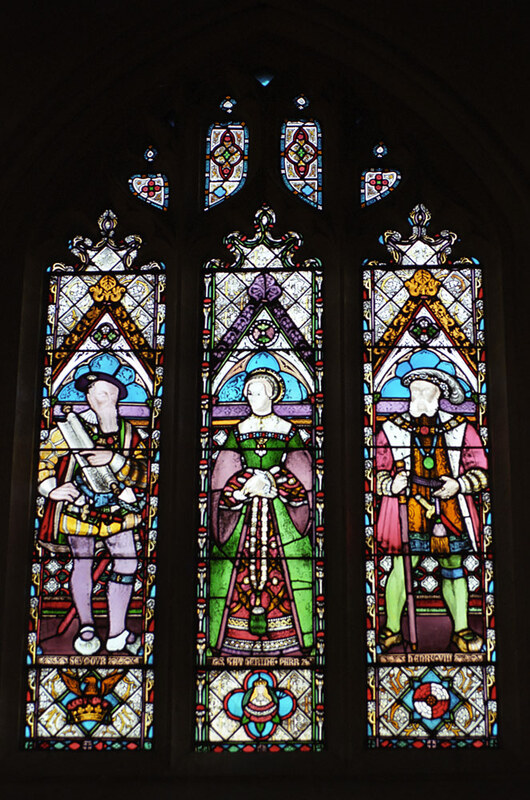 And Katherine Parr was married to Henry, who was still very attached to most forms of the old religion, so her choice would probably have pleased him and been in keeping with the tradition for English queens at that time. James says: The Royal badge created by Queen Katherine after she became Queen represents her patron saint rising from a Tudor rose. 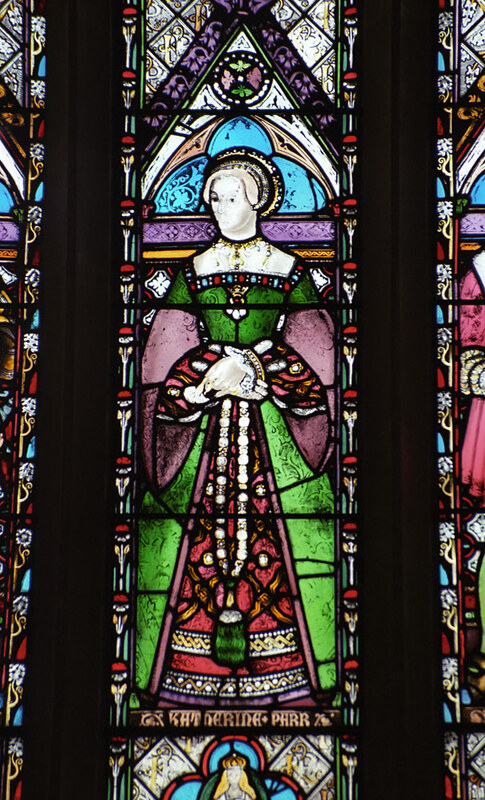 Catherine's patron saint was Saint Catherine of Alexandria also known as Saint Catherine of the Wheel; Catherine Parr used her depiction as part of her royal emblem of a maiden with flowing blonde hair blooming from a Tudor Rose. In actuality, the maidenhead had long been associated with the Parr family badge/arms. 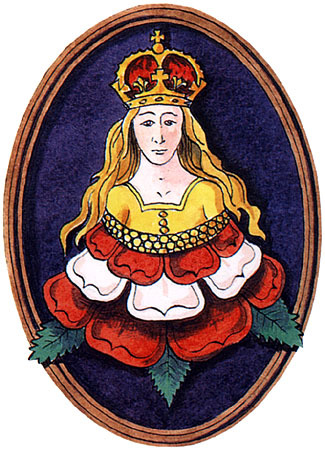 Previous to her marriage, the Parr family assumed as one of their badges derived, from the family of Ros of Kendal, the device of a maiden's head couped below the breast vested in ermine and gold; her hair of the last, or; and her head encircled with a wreath of red and white roses. The maidens can be found on the walls of the Parr Chapel in Kendal Parish Church.